Makeup brushes get gross. It’s good practice to clean them regularly but I don’t know anyone who actually does, self included. 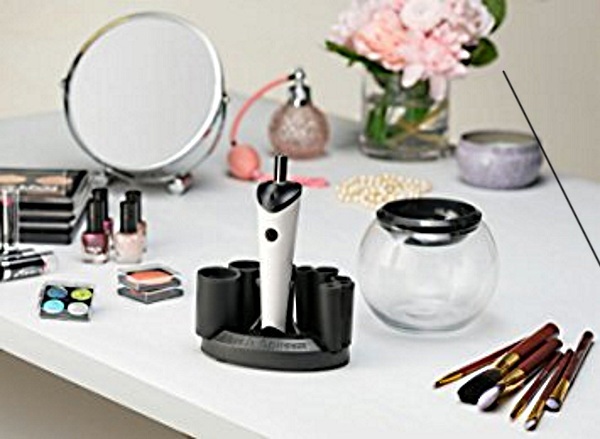 Be better with your beauty tools with the Makeup Brush Cleaner, the little gadget that will clean and dry your brushes in a just a few seconds. 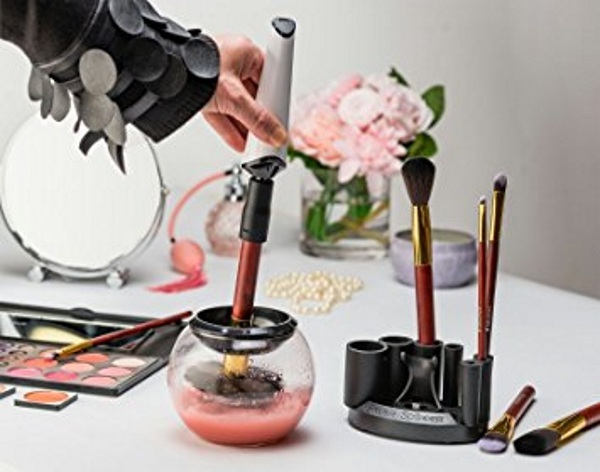 This looks like a little makeup pot which is nice but it’s really a cleaning system. It works with multiple brush types and is very easy to use. Dip your brush in, spin it to rinse out and then spin it again to dry. That’s it! Super simple and it doesn’t take up much space in your bathroom or on your vanity. This charges via USB so you don’t need to worry about batteries either, just keep it near an outlet. The perfect addition to your makeup collection and a way to keep your brushes going strong. You can pick one of these up for $69.99.